Keep your garden luscious all year with a Submersible Pump from MyDeal Australia. All of our water equipment including Fire Fighting, Pressure, and Transfer units will be the perfect solution to your irrigation needs. 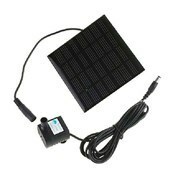 Solar power fountain pool water units are a very helpful tool, great for caring for garden plants. Solar power means no need for other extra power supplies. This is a must-have item if you're tending to your own garden. Get ground water to the surface with the easy to use stainless steel bore water unit. This is suitable for small to medium bores with a capacity of 5600L per hour and total head of 55m all running off a standard 240V outlet. 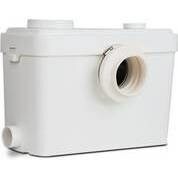 Designed for private use around your house and garden, this unit is predominantly used for drainage. Other uses include water transfer from well to shaft, boats and yachts drainage, as well as water aeration and circulation for a limited period of time. Feel free to also look at our wide range of power tools in this whole section, such as drills, grinders and air compressors for sale to complete your garage and tool collection. We have units that are fully submersible as it is waterproof sealed, and can be submerged 5m deep. Built In float switch to turn on and off the unit automatically. It passes 35mm solids such as leaves, pebbles, and other debris without clogging. We ship across Australia, including major cities like Sydney, Melbourne, Perth, Brisbane, Adelaide, Canberra, Newcastle and the Gold Coast. At MyDeal Australia it is our top priority to provide customers with a secure and enjoyable shopping experience. If there are any problems with your purchase please do not hesitate to contact us and our friendly Customer Support Team will assist you promptly.